AKIPRESS.COM - Egyptian archaeologists have discovered a statue of a lion's body and a human head in the southern city of Aswan, Daily Mail reports. 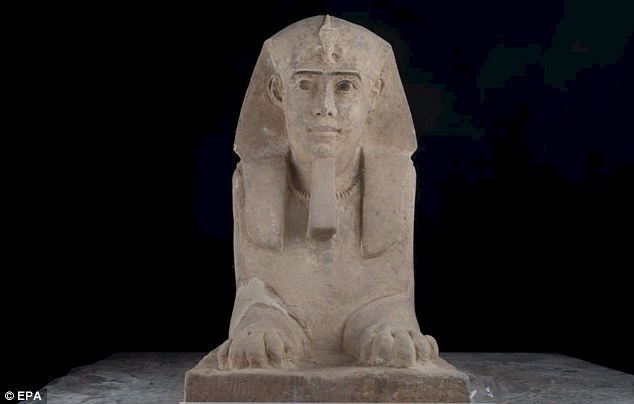 The Antiquities Ministry says the sphinx, made of sandstone, was found in the Temple of Kom Ombo during work to protect the site from groundwater. Mostafa Waziri, secretary general of the Supreme Council of Antiquities, says the statue probably dates back to the Ptolemaic time. The Ptolemaic Dynasty ruled Egypt for some 300 years - from around 320BC to about 30BC. The discovery comes after archaeologists found one of the oldest villages ever in Egypt's Nile Delta- with the remains dating back to before the pharaohs. The Antiquities Ministry said in early September that the Neolithic site was discovered in Tell el-Samara, about 140 kilometers (87 miles) north of Cairo. Chief archaeologist Frederic Gio said his team found silos containing animal bones and food, indicating human habitation as early as 5,000 B.C. That would be some 2,500 years before the Giza pyramids were built. Earlier this year Egyptian archaeologists discovered a 4,400 tomb at Giza which likely belonged to a woman known as Hetpet to believed to be close to ancient Egyptian royals of the 5th Dynasty.